文獻來源：Brockman, David A, Xiaoli Chen, and Daniel D Gallaher. “High-Viscosity Dietary Fibers Reduce Adiposity and Decrease Hepatic Steatosis in Rats Fed a High-Fat Diet." 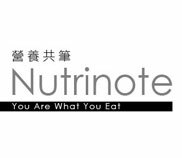 The Journal of nutrition 144.9 (2014): 1415-1422.